Wow.. You’ve had quite a journey.. I’m very sorry about your mom and I’m sorry you have gone through all that you have. I tell people all the time that everyone, at some point or another, in their life, experiences some type of mental illness. Most won’t seek help, others, like me, have and have found peace, although the every day challenges still exist, my coping skills have been fined tuned to deal with those challenges. I’m one of the lucky ones and I know that. Thank you for your visit and your encouraging, compassionate words. You have been lucky. Truthfully, I now understand and know that I have too, regardless of the stark realities of some of the things I’ve mentioned and plenty I have not. As long as I have breath to breathe and a life to live, I have hope and that is what matters. Hi, Lillian, thank you for this wonderful post (and your blog in general)! Congratulations for having transcended your condition. 🙂 I was wondering if you’re a Christian? I just caught the mention of “church” in your post. Thank you for taking the time to read and comment. However, I have not transcended my condition, I am learning to live with it and how to be functional in my life, as it is. Yes, I am a Christian. Ah, I meant that you’ve transcended it in the sense that you are “more than your diagnosis” 🙂 I have faith that God will continue to give you the strength to go through this! “But he said to me, “My grace is sufficient for you, for my power is made perfect in weakness.” Therefore I will boast all the more gladly about my weaknesses, so that Christ’s power may rest on me” (2 Cor 12:9). This is such a great mantra for Christian sufferers of mental illness, isn’t it? Press on, Lillian! 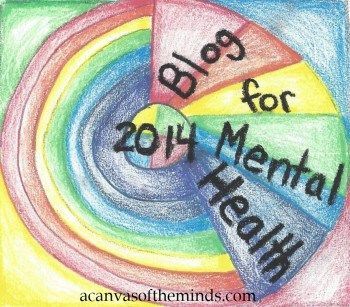 This is my blog that I’m working on building to provide resource information with a little bit about my personal experiences in accessing these services. You can find more writing specific to the mental health issues and experiences, as well as personal processing of life, healing, and recovery issues at http://www.humaninrecovery.wordpress.com.